This is the perfect small project to try your hand at working with more than one color at a time and reading a chart. The cozy begins with knitting a liner which will be necessary to have already knit before the first class. Carolyn will give you lots of time tested tips and tricks for creating this beautiful snowflake design. 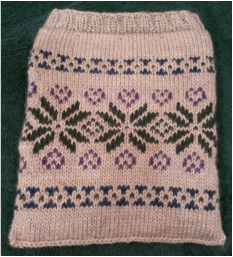 Our sample is worked in a DK wt. merino yarn. Needles required are a 16” size 6 circular, stitch marker and tapestry needle. 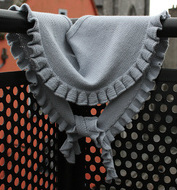 Oh so cute for boy or girl. 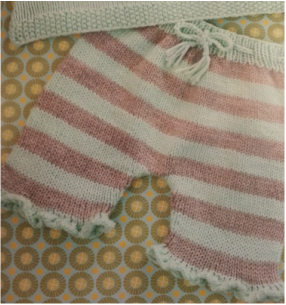 These little striped pants are sized for up to 18 months and can be made with ruffle on the bottom or not. Made with a washable DK weight yarn , you'll learn knitting in the round and striping. You'll also learn how to make "jog-less" rounds for a smoother striping. 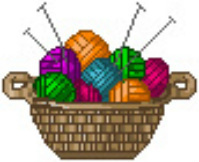 You'll need size 6 – 24” circular needles, markers and stitch holders. 24 or 32” circular needle, stitch markers, pin to mark right side and a row counter. On those cool fall nights this headband will be just perfect. Great for wearing with a ponytail! 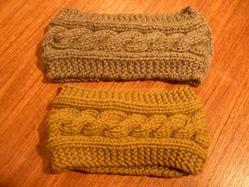 It is a simple bordered single cable design knit on size 8 or 9 needles. This is not knit in the round. This is a great project for someone who wants to learn how to cable. Students need to know the basics before taking this class, cast-on, cast-off, knit stitch and purl stitch. 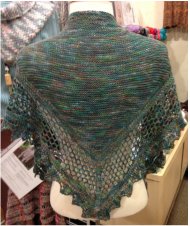 You will need worsted weight yarn, size 8 or 9 needles, cable needle and a darning needle. This is a hat lovers' hat. The structure and detail of this hat are just plain beautiful. It has a wavy band (the cluster stitch) that is adorned by 3 little buttons (we'll teach how to make them) and you'll learn the star stitch to make the crown of the hat. Made in a DK weight – we used a Merino Superwash - 2 hanks. You'll also need several hooks – sizes D, F, G & H.
drapes well. You will need 6 hanks and a Size 4 – 40' circular needle. Learn the basic stitches of crochet like chain, single/double/triple crochet stitches plus much more. Upon completion of this class you’ll be ready for great things such as home décor items, scarves, sweaters and baby things. Hook and practice yarn are included in the cost of the class. Please Register with Mankato Community Education.